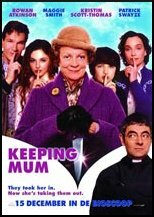 SYNOPSIS Reverend Walter Goodman and his family are about to get a shake up, as a new housekeeping enters the family home. Grace will be the families salvation, but she is not all that she seems. Can the Reverend, his cheating wife and their two children overcome the troubles which are tearing them apart?